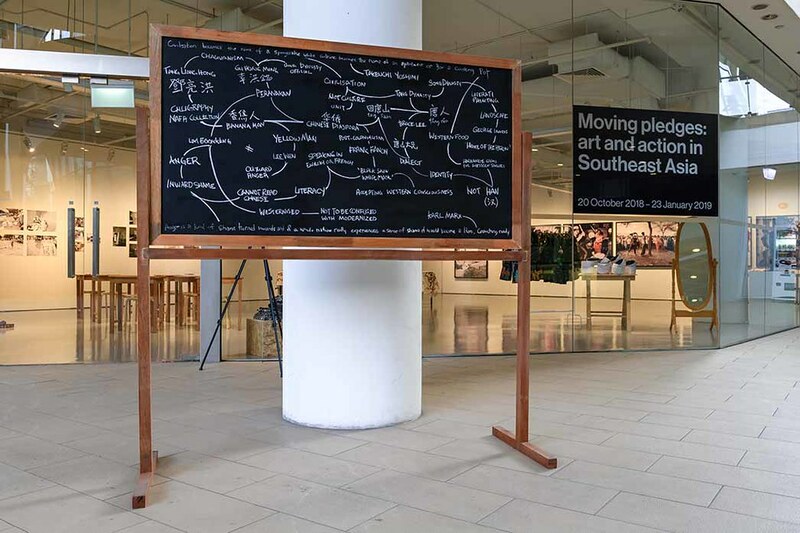 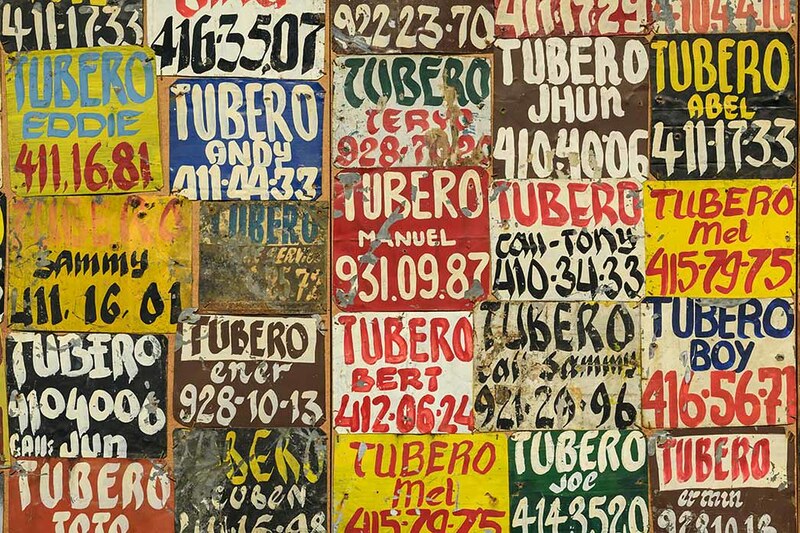 Moving pledges presents works by Southeast Asian artists who use art as a means to probe social and political power structures. 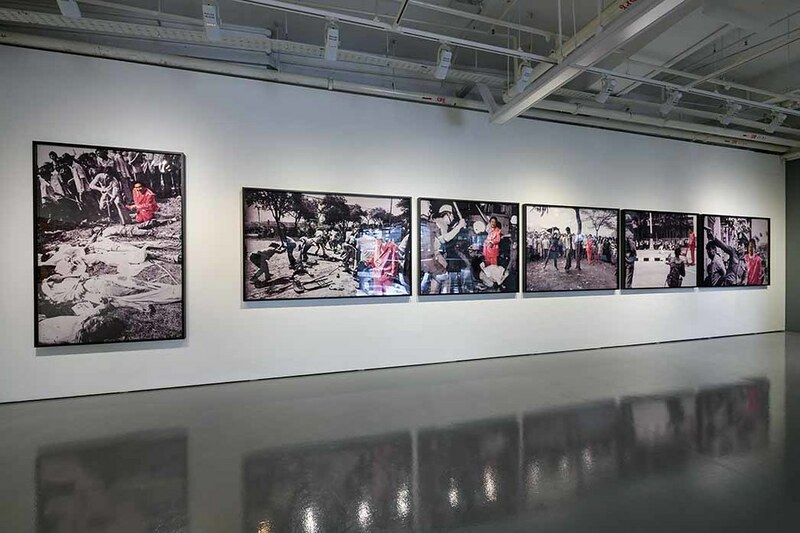 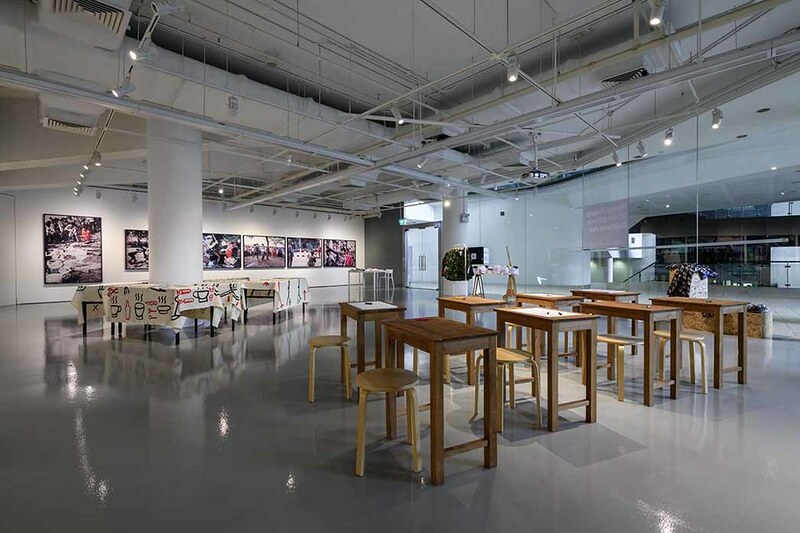 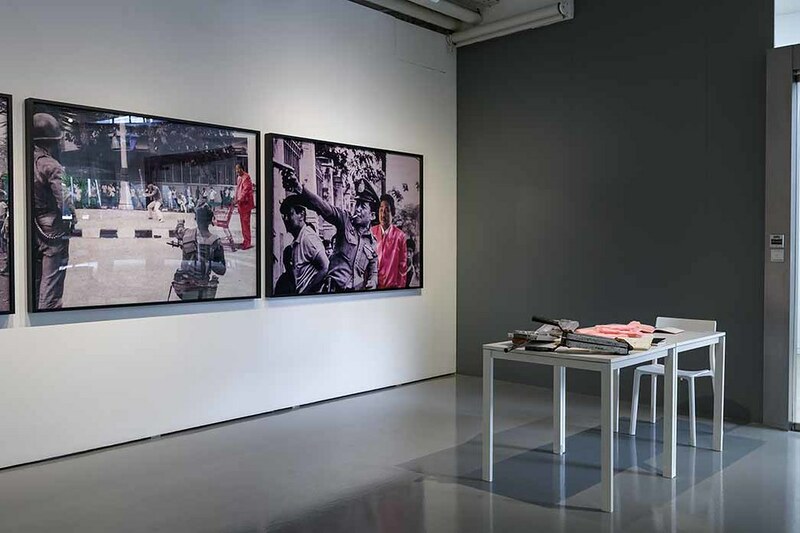 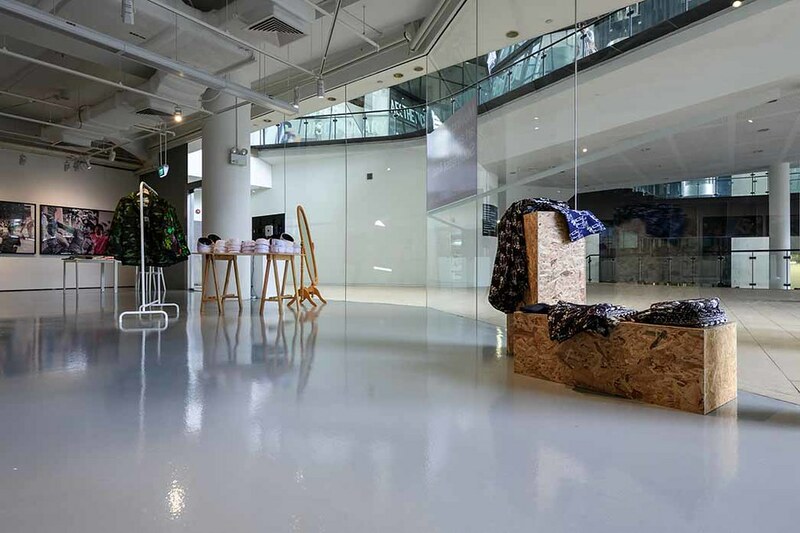 The exhibition comprises participatory and performance art, photography, video and installation. 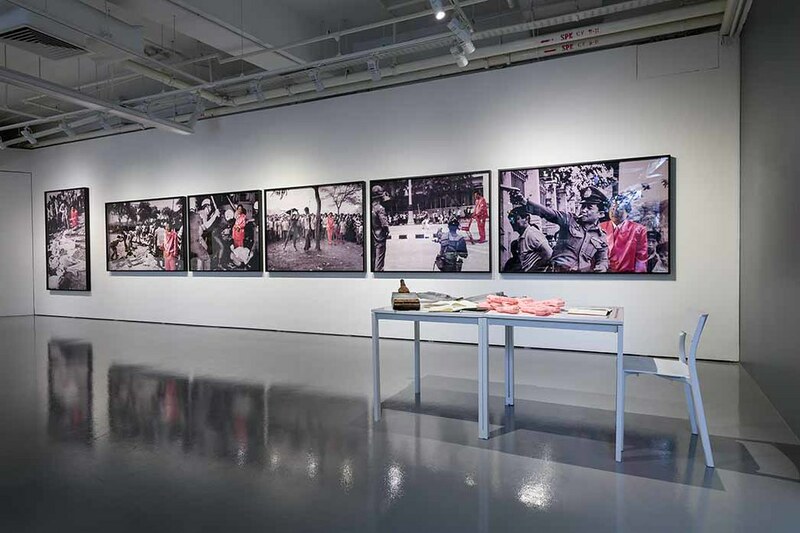 Works employ aesthetics and conceptual frameworks—sometimes borrowed from the state—to prompt discussion about the systems of authority that regulate daily life. 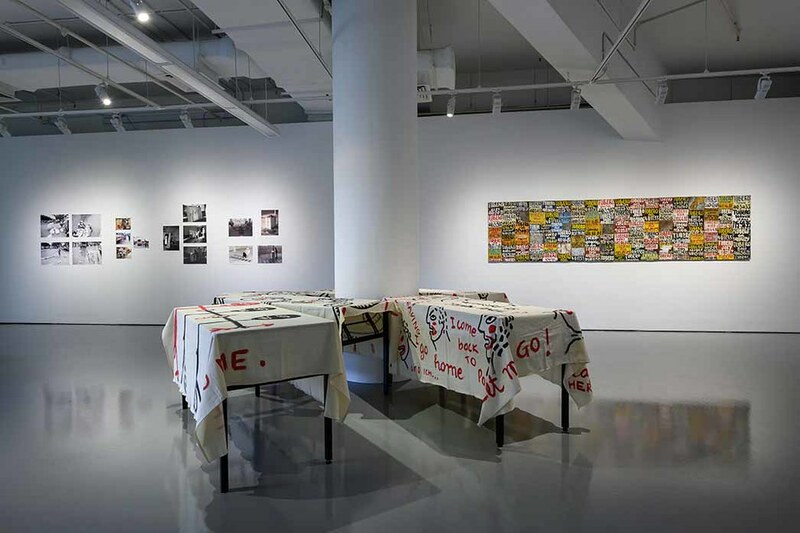 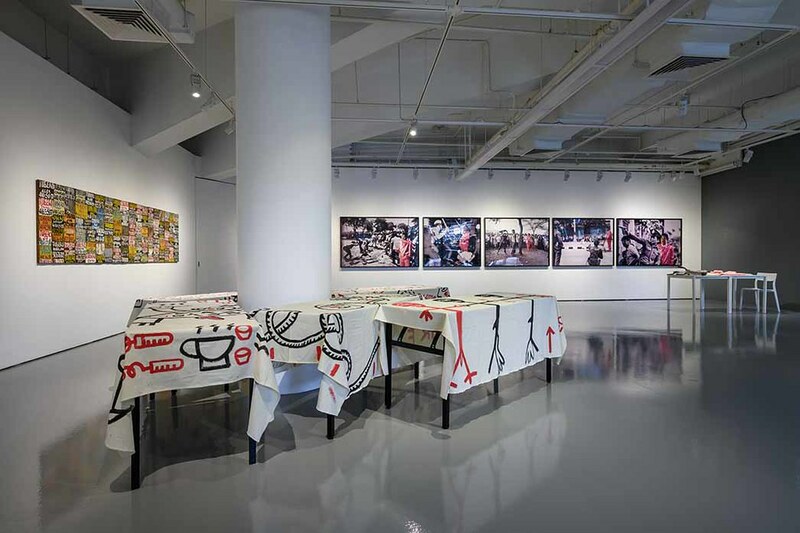 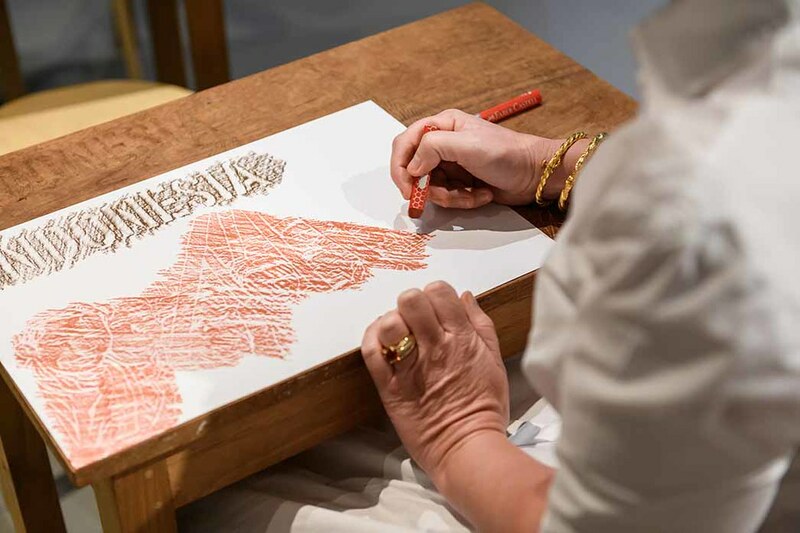 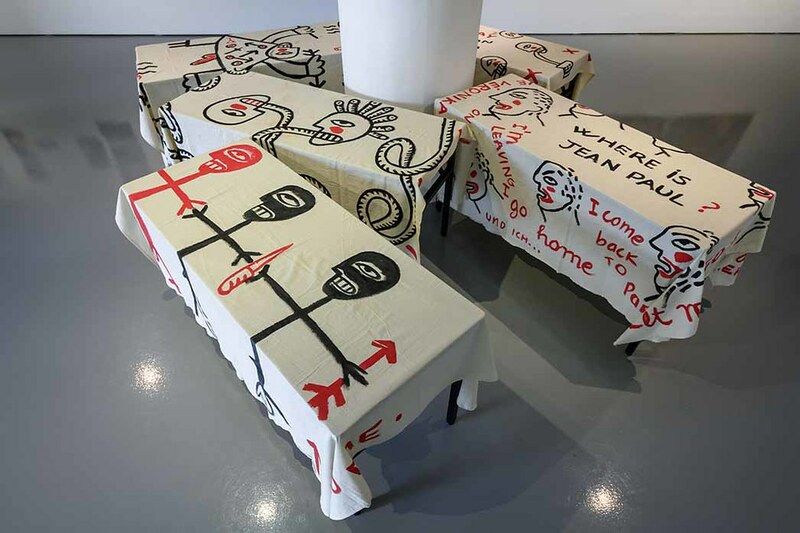 Produced over four decades (1977–2018), the works show the artists’ persistent belief in art as a conduit for social and political empowerment. 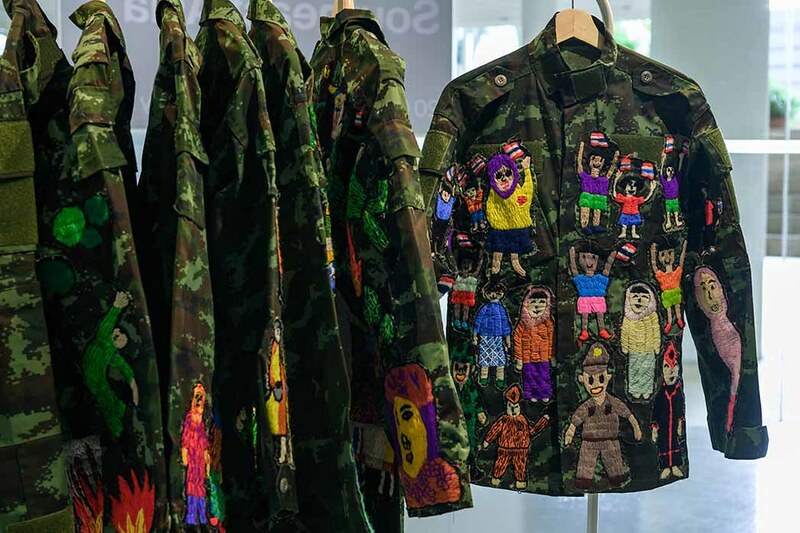 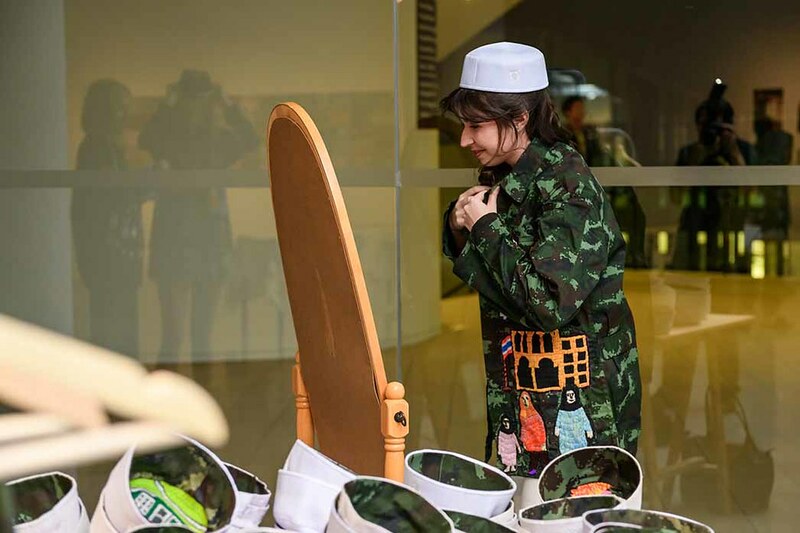 Jakkai Siributr’s Changing room (2017) invites audiences to try on military jackets embroidered with images of violence experienced by Muslims in Thailand’s deep south. 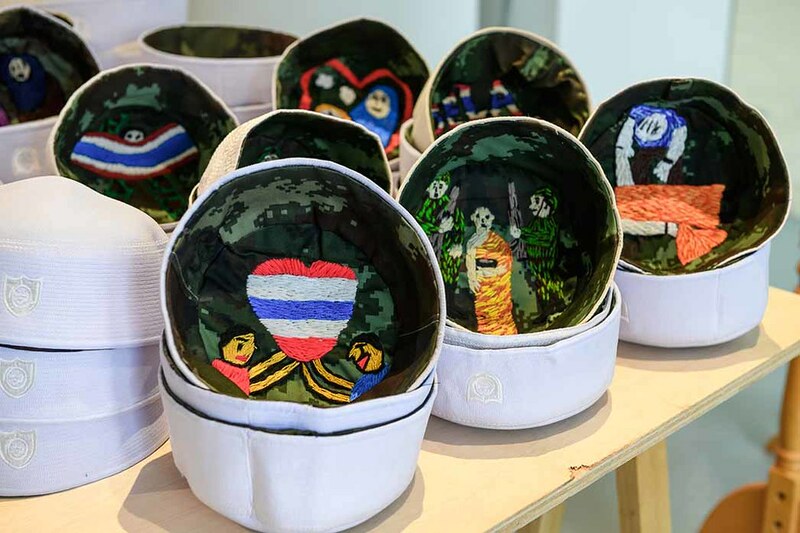 While aesthetically seductive, Scandals (2013–), a series of hand-stitched slippers made of spent bullet cartridges by Filipina artist Josephine Turalba, are also painful to wear. 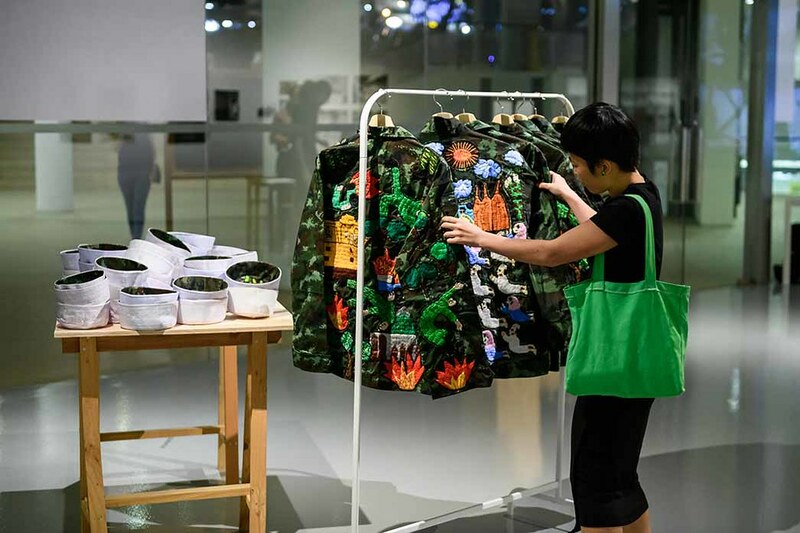 A sound work by Tay Wei Leng distorts recordings of Singapore citizens reciting the national pledge and explores the meaning of national allegiance. 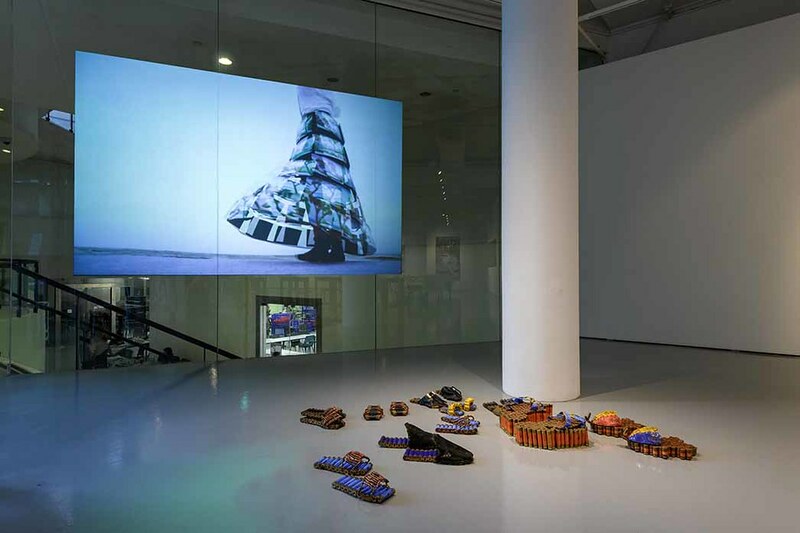 Indonesian artist FX Harsono presents his pistol-shaped rice cracker installation (1977), one of the region’s earliest participatory artworks.